Well, there are a number of factors involved but two experiences this week highlight the problem. Early in the week I received a phone call at 22h30 that means half past ten at night! The phone call was someone wanting to inquire about one of my services. Now I do need to state that I want clients, I enjoy clients but there has to be a little respect here. Please keep in mind I am not an emergency health care service. The service that I offer does not take place at ten thirty at night. I have hours and they are day time hours and yes I am permitted to set my own hours. The next call was last night at 22h45. That means quarter to eleven at night. The person called this morning again at an inappropriate time. This person wanted to know about my bridal gowns. I am very sorry, my bridal gowns are part of a service that have hours from 9 am - 6 pm or 9h00 - 18h00 or nine in the morning until six in the evening. The days that this service is open is Sunday, which in Israel is a work day, until Thursday. For anyone wanting after hours services, there is an additional charge. My after hours fee is double my regular fee. Why? Because the night is the time for sleep. While I am learning the hard way that there are many who don't seem to understand the concept of sleep. Sleep is a very important part of our daily lives in order to function effectively during the day. One important part is being able to sleep for enough hours. Now if I need to get up at 6 am or six in the morning and I need eight hours of sleep because that is the amount of sleep that all normal human beings require, then I can not be talking on the phone at 22h30, I need already be in bed and asleep by that time. What it translates to is that people are no longer respecting the health of their fellow human being. If you are up making phone calls at the time of night that the other person needs to be asleep and you are living in the very same city, then you know what? Well since most don't understand I will spell it out. Logic says that you are not getting to bed at the right time either! That means that you will also be suffering from sleep deprivation which is a problem if you wish to function effectively and maintain good health. So, for the late callers who think that inquiring about bridal gowns in the middle of the night or another service related to brides and weddings, or the OT services that I offer, is acceptable behaviour the news is that it is not. The Model of Human Occupation has an important section on developing healthy habits and routines. The first step is to make sure that you get to bed on time in order to get enough sleep and to function the next day to the best of your ability. 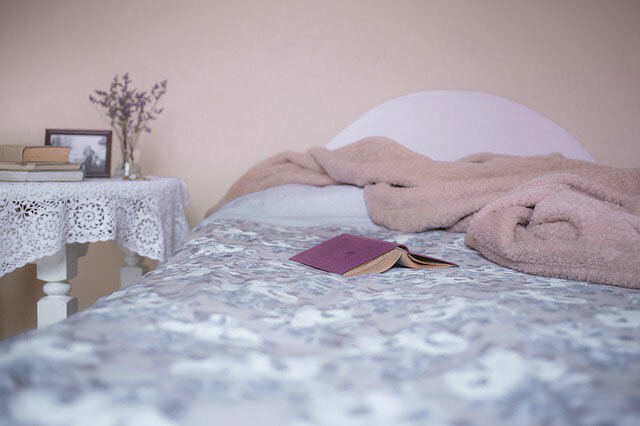 If you are not getting to bed on time or if you can not sleep, then you are welcome to sign up for occupational therapy sessions to help you to develop the respect, habits and routines to enable you to sleep at night. Do keep in mind that my occupational therapy services are private and no I do not charge the rates of the co-pay that would be paid to the health insurance or Kupat Cholim. Just like I expect you to respect my right to health which includes sleep time, I expect you to respect my working privately and to pay effectively. If you are not able to do either, then please do not complain if you end up with a chronic illness or injury. There is enough research and enough examples of those who die young or develop all kinds of illnesses and injuries from not taking care of their health. Once again, if you do not respect the right to life and health, please keep your poor habits and routines to yourselves and do not impact on the lives of others by calling for day time services at night. Thank you for reading this. I do hope it will give you some insight as to the problems involved. In short, anyone who disturbs the sleep of another is stealing their sleep which is theft, and forbidden by the Torah. I bless you to develop a lifestyle and mindset that will promote health for you, for your family and for all those you interact with.